in the UK and France. 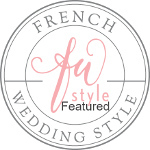 At Rose Gold we design, organise and coordinate beautifully bespoke weddings across the UK and France. Based in London but working with clients throughout the world; Rose Gold work with you to create the wedding you have always dreamt about. Rose Gold Wedding Planners provide a full range of wedding services for destination weddings.